Grab the family and get wet this weekend. The 2019 Connelly Mega Wing Deluxe 3 Rider Towable Tube is a fully covered, triple rider cockpit style tube designed with a rounded nose for easy starts, large side gussets for extra stability, and a low center of gravity for a controlled ride. 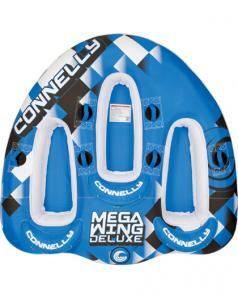 The large squared off stern keeps the tube Mega Wing Deluxe stable on turns and inclement water. 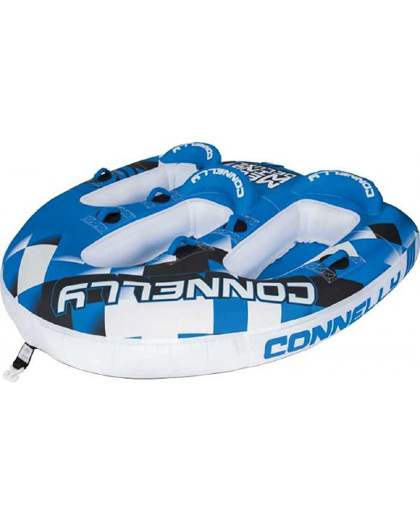 * Note: Due to the large size of this tube, it is not recommended for small children riding by themselves.